The episode title says it all and the episode itself doesn't disappoint. The highlight is the ongoing relationship between Londo and G'Kar but Sheridan's tirade when he finally has enough of the Alliance members runs a close second. The title is great - sounds like a quote, but I couldn't find a source for it. This episode feels very uncomfortable - I find myslf squirming, wishing there were a way to stop the inevitable. I also find myself hating Garibaldi for failing, and wishing that the others would finally recognize what's going on with him and stop him. He tells them they can rely on him, and they believe it - and hundreds die as a result. We've been seeing the same Centauri minister as a spokesperson without really finding anything out about him. I assume he is controlled by a Watcher, but what function does he have that he can override all others, including his supposed superiors such as the Prime Minister, even the Regent? Londo may be the upcoming Emperor, but that doesn't stop him from joining G'Kar in prison when he insists that they stay together. So just what is the worth of being designated Emperor?! I agree with Estelyn, that this episode is uncomfortable to watch. I am uncomfortable with drunk Garibaldi in other episodes, especially when things start going horribly wrong all around him. This one is the worst. How is he ever going to deal with that guilt? I also agree with the author on the Lurker's Guide page for this episode: Why is Garibaldi the only contact? It's interesting that Londo talks to Vir as though he's quite sure the Centauri Republic is NOT behind the attacks, and that that will all become clear soon enough. But, as G'Kar says in this episode, we all saw the weird stuff going on at the Royal Court. He must suspect that it is indeed his own government behind all of this. Is he just trying to spare Vir? EDIT: I forgot to say, I really like that scene of Londo and G'Kar looking up at the sky, watching the warships overhead. It seems a deliberate reference to that scene with the Shadow ships from Londo's dream in "The Coming of Shadows", and then in Londo's reality in "The Hour of the Wolf", only now G'Kar is there with him! Last edited by Lennier's Tears; May 9th 15 at 01:32. Great episode name. Extremely poetic, stylish, carrying with it years of events, struggle, dreams, ambitions. What an oppressive start for the episode (what's the term for the part before the opening credits?). You can feel how much Delenn and John hate and fear what's going to happen in a few moments. Very good acting from both of them. You can feel their pain and anxiety. Very potent stuff. Excellent acting from Londo once again. His face after Lennier showed the footage of the attack... the one time when Londo didn't have a quick & aggressive reply to throw at anyone's face. The tension of this episode. I held my breath on several scenes. Not because it was thrilling - there was nothing to be worried or scared about anymore, you *knew* things were going straight to hell - it was the fatality of it all. G'Kar and Londo. I love it that they got to be friends. Unlikely partners - brothers in arms, in a funny way. Probably. Also, maybe he's trying to convince himself? Or maybe he's worried someone will overhear what they're talking - they are quite close to the meeting room at the time. He cannot be seen or overheard speaking in a manner which might suggest that he believes in Centauri guilt. And also, he may think and believe whatever, but he plays his cards pretty close to his chest. There have been other times as well - I seem to remember - when he's toed the company line even to Vir. Yes, this was very effective. Added to the tension too, since none of the references pointed to anything positive. I think it's very skillful how B5 mixes slight doses of humour also into these extremely tension-packed, borderline depressing, episodes. In the middle of all the heavy inevitability, there's G'Kar & minister, and G'Kar bantering with Londo. In less expert hands, that could be awkward and forced ("here we must have the allocated 30 seconds of levity, come on, someone think of a few passable quips??"). Here, it's life. Life consists of tragedy and comedy. I love Sheridan's outburst. One of the scenes where I held my breath. Almost had tears in my eyes. He was so angry, and frustrated, and disappointed. Many of his dreams, too, torn asunder. That's the Teaser. Then there are acts and that ending part is the Tag. 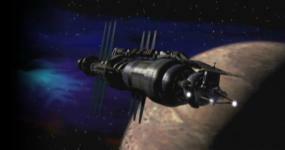 IMO, B5 made *great* use for the Tag especially for showing the aftermath of all the exciting stuff during the episodes. BTW, if you ever have any questions about what's in scripts, let me know. I've got all of them. Babylon 5 has the BEST episode names. There's a few I didn't even get for years until I suddenly realized what they were referencing. Among all the great episode names, this one is definitely at the top! I just said this in two other threads, so again I'm just repeating myself, but YES, this is one of my very favorite things about Babylon 5. It has a major arc, but it's not just constant tension. I don't think Londo actually believes the Centauri are responsible. The next episode reveals why I believe that to be the case so I won't speak about it here.